We recognize the sacredness of birth, and the hard work that has been done to nourish, grow, carry and birth your baby. We believe the postpartum deserves to be honoured! 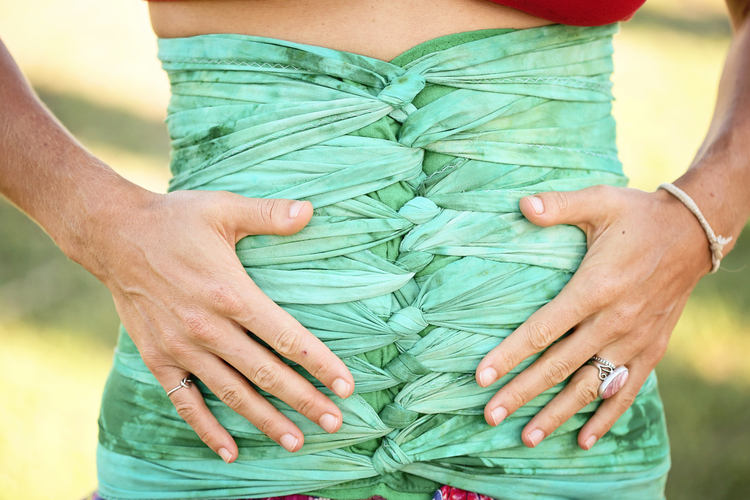 Bengkung belly binding is a traditional healing practice for postpartum moms from Malaysia. What makes it so amazing is the fact that each time it is wrapped, it will fit your body perfectly, holding you where you need the most support. Our bodies rapidly change after giving birth; this belly bind will adapt with you throughout your entire recovery. The bind is therapeutic and very comforting to use, but does not replace the care of a pysiotherapist or other specialist. How else will you benefit from Bengkung belly binding? May assist separated abdominal muscles to encourage them to go back together. Improves posture while supporting your back as you nursing or hold your baby. To ensure you maximize from your belly bind's benefits, one of our binding experts will facilitate a private lesson for you and your partner, where you'll learn how to bind your belly quickly, comfortably and easily. Our Belly binding sessions are conducted in our office or in your home. ​We also sell Belly Bind wraps for purchase range in price from $65.00-85.00 each. Please allow 2-3 weeks for your Belly Bind Wrap to be made and shipped. Includes simple instructions on how to use your Belly Bind Wrap. We recognize the sacredness of birth and the hard work you've done to nourish, grow, nurture, carry and birth your child. 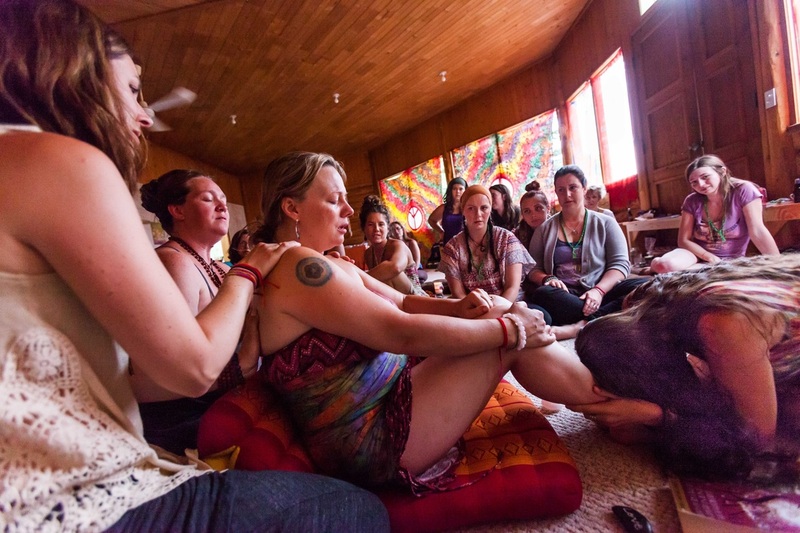 In honour of your process, we'll provide a serene postpartum healing ceremony to begin the "closing of the bones", within the comfort of your own home. This is a time of deep celebration, while creating sacred space to nurture the mother and her newborn. Birth Story Scribing Session ﻿- There is nothing more empowering than telling our stories. We provide a beautiful journal and scribe the mother's birth story as she experienced it. Ceremonial Bath - A time for the mother to reflect on all her body has done. We set up a beautiful bath with herbs, honey, milk, and/or nourishing oils. Tuck In Ceremony - A ritual where the birth process is symbolically closed by wrapping up the mother with warm rebozos. This is perhaps one of the most powerful rituals done at a closing ceremony. Bengkung Belly Binding - As a closing to the ceremony we wrap up the mother in a supportive belly bind and give her a cup of tea. Upon request, we can also apply a warming paste underneath the wrap. Planning Session: an in-depth discussion of the mother's needs to customize her ceremonial plan. Setting of a Sacred Space: using our supplies and a mother's sentimental items, we will create a breathtaking ceremonial space. Facilitation of the Event: we will facilitate the chosen rituals, allowing the mother and her guests to fully enjoy the experience. Clean up: after the event we ensure that everything is tidy, and the honoured mother feels her experience is complete before we leave.